Do you want to improve your smile? 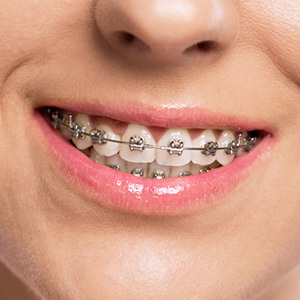 Do you feel like you're too old to be wearing braces? Well, Dr. Saeid Jafarpour, Dr. Kevin Kwong, and Dr. Azza Elhaddad understand how you feel, which is why they offer Invisalign at their Ajax, ON, office. Invisalign is composed of custom-made clear aligners that are made to fit your upper and lower teeth. The aligners function the same way traditional braces work, by applying pressure on each tooth so that it moves into its proper position. 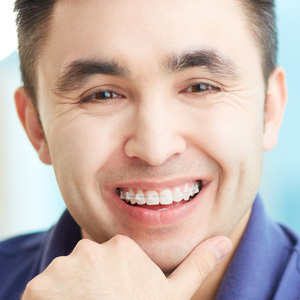 Your Ajax dentists create your custom aligners using a specialized computer software. If you would like to schedule an appointment with your Ajax, ON, dentists, then call their office today! Invisalign is a great treatment method to straighten the teeth and to achieve your dream smile. The process uses the latest 3D computer imaging technology to help you achieve these results. Getting Invisalign in Ajax, ON, is simple with the help of Dr. Saeid Jafarpour, Dr. Kevin Kwong and Dr. Azza Elhaddad at Ajax Dental Centre. They can examine your teeth and offer you a personalized treatment plan that works for your needs. Custom-made aligners are made for your teeth to start this process. Each of the aligners is worn for a period of time, typically two weeks. The teeth are given the adequate time needed to move little by little to reach their desired final position. Movement is made through controlled force that doesn’t hurt you. These aligners are invisible meaning that you are improving your teeth in an undetectable way. Dr. Jafarpour, Dr. Kwong and Dr. Elhaddad at Ajax Dental Centre in Ajax, ON, offer Invisalign to patients of all ages. Aligners can be removed when one eats and drinks and also during brushing and flossing for added comfort. There are no wires or brackets like braces, which leads to less irritation in your mouth. There is no need for adjustments, so there are fewer visits to the dentist office too. Throughout the process, you will be able to see results, unlike braces where you must wait until the end (sometimes years) to see your finished product. Invisalign has been proven to be successful for patients of all age. In Ajax, ON, Invisalign can be easily achieved with the help of Dr. Jafarpour, Dr. Kwong and Dr. Elhaddad at Ajax Dental Centre. To schedule an informative consultation and comprehensive dental exam with one of them today, call their Ajax, Ontario, office at 905-426-8304.